Cathy’s passion for midwifery was ignited in 1982, the year she gave birth to her fourth baby at home under the watchful care of dedicated midwives. Determined to become a midwife herself, she embarked on the traditional apprenticeship path to midwifery and later became a Registered Midwife when the province of Alberta regulated the profession in 1998. To date, she has attended the births of over 1,000 beautiful babies. 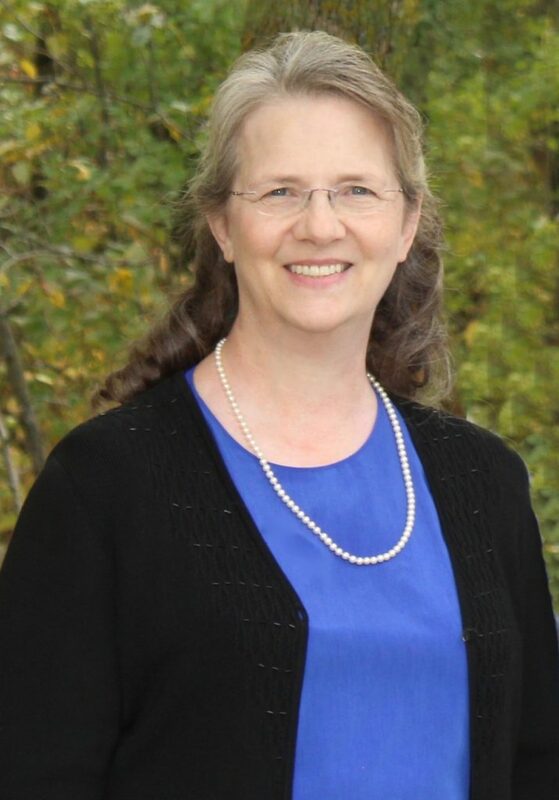 Cathy’s philosophy is anchored in traditional family and midwifery values: childbearing is a normal and healthy process; each woman has the responsibility and right to make informed decisions about her care; breastfeeding is best for mother and baby; every child is a special gift and blessing. She is particularly interested in extending midwifery care to women who are facing various pregnancy challenges and she enjoys working collaboratively with specialists on behalf of women who need both midwifery care and consultation with obstetrical care. Cathy loves the life-long learning that midwifery affords and she is active in professional leadership, clinical teaching, and mentorship of students and new midwives. Opportunities have included: board member, Alberta Association of Midwives (AAM); member of the Royal Alexandra Hospital (Edmonton) MOREob Core Team; instructor, Emergency Skills Workshop; assessor, Midwifery Bridging Program; assessor, Midwifery Multi-Faceted Midwifery Examinations; member, Development Committee for College of Midwives of Alberta (CMA); speaker, in-service workshops for Edmonton EMS; writer, National Family- Centred Maternal Newborn Guidelines, Health Canada; instructor in Neonatal Resuscitation Program; faculty member for ALARM Obstetrical Emergency Course (Society of Obstetricians & Gynaecologist of Canada); member of the CMA Conduct and Competency Committee. Apart from midwifery responsibilities, Cathy is busy as a mother and grandmother. She is an accomplished pianist and favourite hobbies include dressmaking and re-designing treasures she discovered at the local thrift shop or antique store. She is a wanna-be amateur photographer and can be found snapping lots of pictures of the people she loves most in the whole wide world – her family. As Practice Lead at JoySpring, Cathy wants your experience with us to enlarge your happiness and broaden your confidence. Perhaps you also will be inspired to consider some new dream or pathway for yourself and for your family!